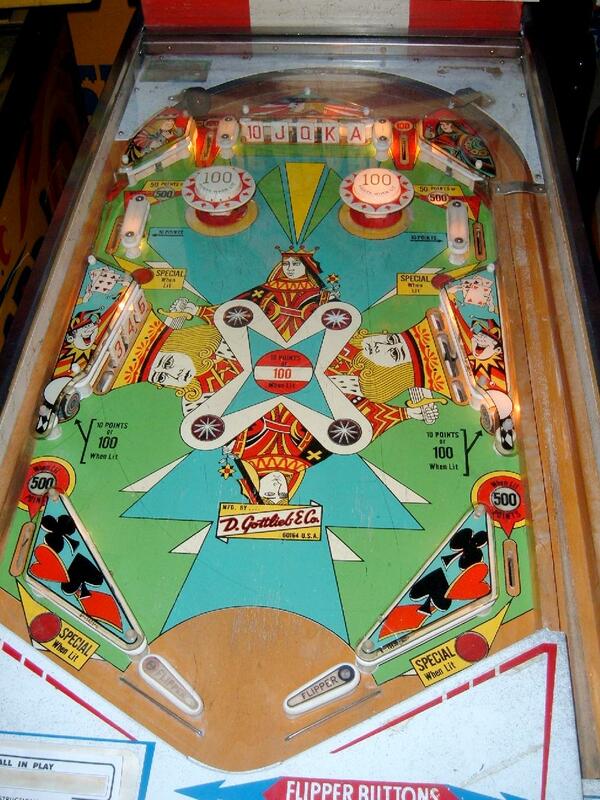 Description: Gottlieb Pop-a-Card pinball. 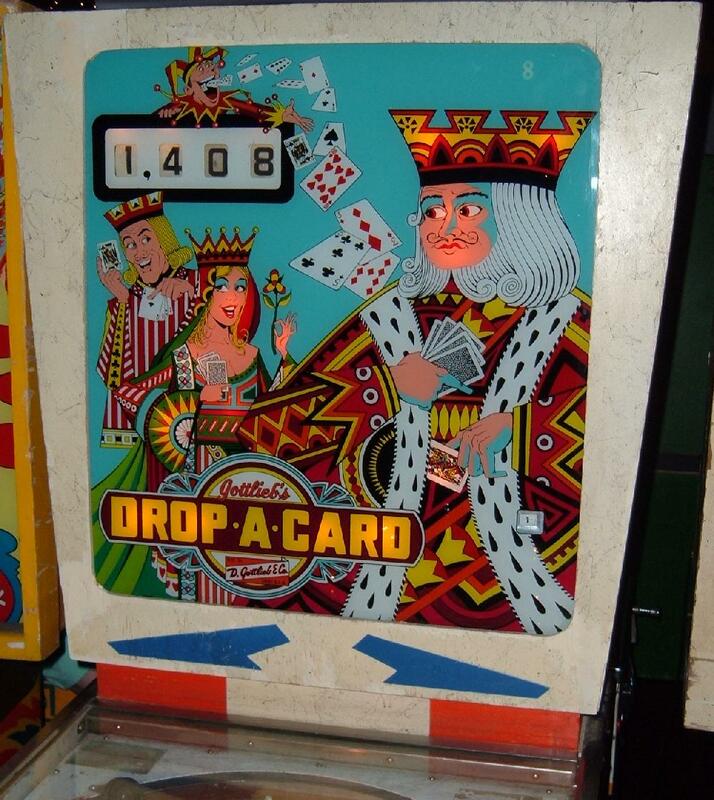 Same game as Gottlieb Drop-a-Card pinball. Lots of drop targets, small 2" flippers. 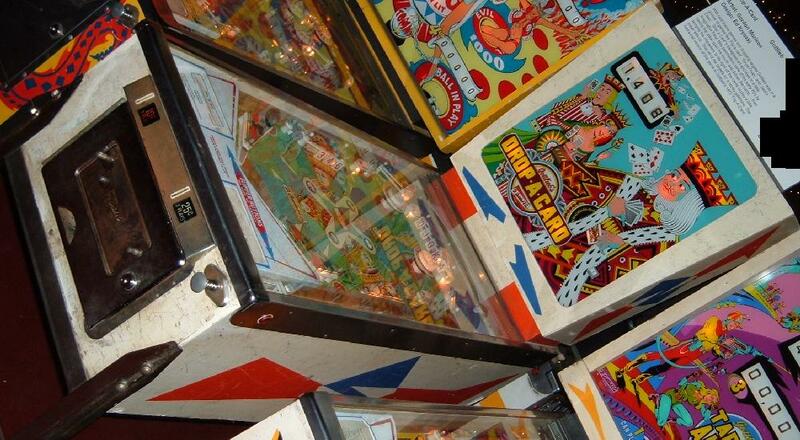 Pop-a-Card was the last Gottlieb game to use the smaller 2" flippers. Single player wedgehead cabinet design. They made 2600 Gottlieb Drop a Card pinballs in the replay version, and 825 Gottlieb Pop a Card add-a-ball pinballs. There was also an Italian version of this game called Gottlieb Card King (2340 made).